The following is a list of nominees with the winners indicted with an asterisk (*) and the word "WINNER." Octavia Spencer, "The Shape of Water"
Willem Dafoe, "The Florida Project"
Woody Harrelson, "Three Billboards Outside Ebbing, Missouri"
Best Picture: "The Shape of Water." Actor: Gary Oldman, "Darkest Hour." Actress: Frances McDormand, "Three Billboards Outside Ebbing, Missouri." Supporting Actor: Sam Rockwell, "Three Billboards Outside Ebbing, Missouri." Supporting Actress: Allison Janney, "I, Tonya." Directing: "The Shape of Water," Guillermo del Toro. CLEVELAND, Ohio - Guillermo del Toro's "The Shape of Water" is an unlikely candidate to be nominated for a leading 13 Oscars. The nods the film got include in the categories of Best Movie, Best Director, Best Actress for the divine Sally Hawkins, and Supporting Actor and Actress for the magnificent Richard Jenkins and Octavia Spencer. 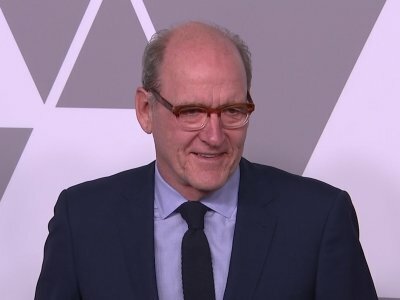 DeKALB – When actor and DeKalb native Richard Jenkins learned he had received his second Academy Award nomination, his first thought was of his parents. "The Shape of Water" is moving, stimulating the senses and blending the beauty of fantasy with the aversions of humanity and history. Guillermo del Toro and Vanessa Taylor wrote this deeply moving film that delves into what it means to love, accept and be compassionate, no matter the consequences. 'The Shape of Water' leads this year's Academy Awards with 13 nominations. Guillermo del Toro's romantic creature feature is up for a host of top Oscars, including Best Picture, Best Director, Best Original Screenplay, Best Actress for Sally Hawkins and Best Supporting Actor for Richard Jenkins. 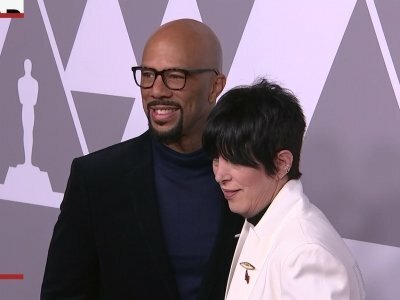 Looking back over the 53rd Chicago International Film Festival, or CIFF, which ended last weekend, there is a seemingly myriad number of films in as many categories. It's difficult to pick just a few top films, but here are five to put on your list, some mainstream and others indie gems that will require some work and patience to find, but all worth your time and money. Tessa Thompson on Weinstein: Why aren't men speaking out? Not since Marlon Brando in "Apocalypse Now" murmured of "the horror" has such a brooding beast lurked deep within a war-ravaged jungle as the King Kong of "Kong: Skull Island."